Your jewelry is part of your wedding day ensemble that you will be able to wear and enjoy time and again. 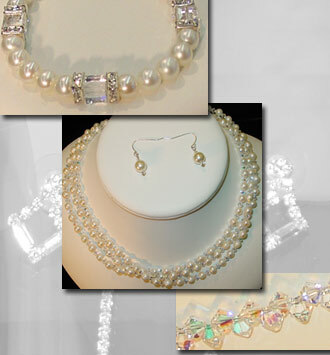 We offer a variety of bridal, bridesmaid, and flower girl jewelry that can be custom-made and individually designed. What exactly does that mean? We have someone on staff who designs and hand makes beaded Swarovski jewelry. 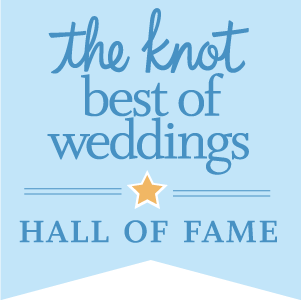 Have you been looking for that perfect bridal jewelry and just haven’t been able to find it? We can work with you to custom design something in stunning Swarovski pearls and crystals to match the style and color of your dress. We can also design something to match your bridesmaids’ dresses or mother-of-the-bride dress. Our jewelry designer works with top quality Swarovski materials and sterling silver, so you know your jewelry will always sparkle. There are some sample styles of custom bridal jewelry in our store in Natick, MA. You can see what we have here and buy it on the spot, or work with one of us to design the jewelry of your dreams. Are you on a tight budget or looking for a gift for your bridesmaids? We also carry rhinestone bridesmaids jewelry sets which are very affordable and can be ordered in a range of colored stones, starting at $24 for a necklace and earring set. We even carry flower girl jewelry which can be made for the tiniest flower girl.